Is an engineering mind-set linked to violent terrorism? In a British Council report Martin Rose argues that the way STEM subjects are taught reinforces the development of a mind-set receptive to violent extremism. Well taught social sciences, on the other hand, are a potentially powerful intellectual defence against it. Whilst his primary focus was MENA (Middle East and North Africa) he draws implications for education in the West. Rose notes that engineering, medicine and other technical subjects are regarded as superior education in many MENA countries. These subjects may attract people with mind-sets that like simple solutions; little ambiguity, nuance, or debate. Rose calls this an ‘engineering mind-set’. He says that in these courses there is a tendency to concentrate on rote learning and exam-passing with little or no questioning. Those mind-sets may then be re-enforced by the way they are taught. Rose emphasises that young people need to be taught how to think to immunise their minds against ideologies that seek to teach them what to think. In other words they need to be encouraged to think critically as in the social sciences. There are two main points I want to highlight here. First, as Rose states, the sparse data that we have indicates that there are a disproportionate number of STEM students and graduates recruited into Jihadist terrorism. That needs to be explained. At least part, but only part, of the complex answer may rest on the second point. How do Rose and others characterise an engineering mind-set and how does it relate to the way engineers actually think? For sure the way Rose describes it needs unpacking. Rose quotes Diego Gambetta in 2007 (who in turn quotes the work of Seymour Lipset and Earl Raab who wrote on right wing and Islamic extremism in 1971). He says this mind-set has three components; (a) ‘monism’ – the idea that there exists one best solution to all problems; (b) ‘simplism’ – the idea that if only people were rational remedies would be simple with no ambiguity and single causes and remedies; (c) ‘preservatism’ – an underlying craving for a lost order of privileges and authority as a backlash against deprivation in a period of sharp social change – in jihadist ideology the theme of returning to the order of the prophet’s early community. Rose’s characterisation, like many attempts to capture something complex and protean, contains some truth – but it is far from adequate. 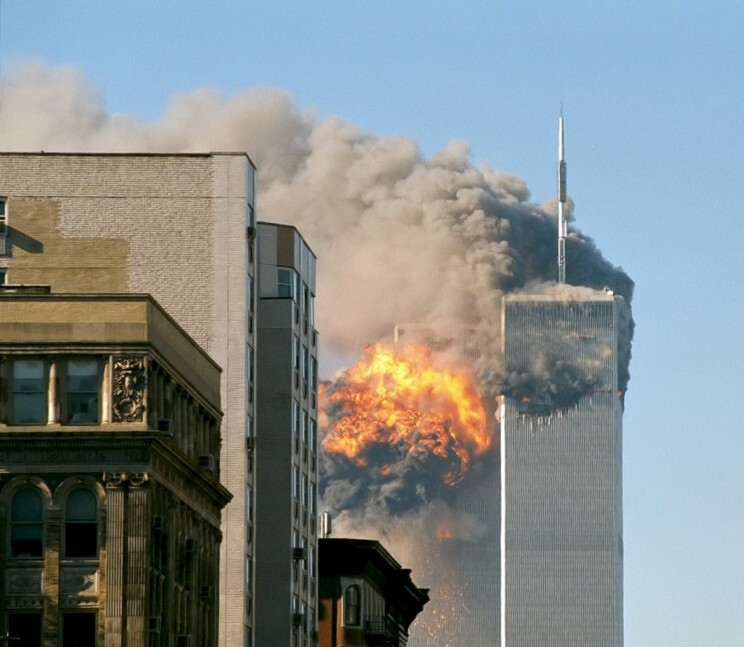 United Airlines Flight 175 crashes into the south tower of the World Trade Center complex in New York City during the September 11 attacks. Among the hijackers were an elementary school teacher, an architect, and a law student. Image by Robert J. Fisch. CC-BY-SA-2.0 via Wikimedia Commons. A good start at an analysis would be the report by the Royal Academy of Engineering, ‘Thinking like an engineer’. One could easily counter Rose’s three components, and be nearer the mark, by using the trio pluralism, complexity, and sustainability. I believe that we should perhaps look for an explanation by examining the huge gap that has existed (and still exists – though reduced) between engineering science and practice. For example theoretical engineering mechanics rests on the certainty of deterministic physics from Newton to Einstein with its consequent time invariant dynamics. Determinism means that all events have sufficient causes – literally that the past decides the future. Einstein is reputed to have said “time is an illusion.” No practitioner takes these interpretations of certainty seriously, but she uses them as a model to make decisions because they are the best we have and they work. But there is one big and important proviso – they work in a context that must be understood. The Nobel Prize winner Ilya Prigogine has shown that evolutionary thermodynamics rests on complex processes far from equilibrium. Contrary to dynamics theories the laws of thermodynamics show that time is an arrow going only in one direction. Quantum physics has blown away all pretence at certainty. Practitioners intuitively know that their theories are human constructs – imperfect models built to provide us with meaning and guide our ways of behaving. They use them to help make safe and functional decisions to provide systems of artefacts that are fit for purpose as set out in a specification. They use them but they know there are risks. There is no certainty in engineering practice (as some seem to believe) – witness the few tragic engineering failures (like Chernobyl). Risk and uncertainty is managed by safe dependable practice – always testing always checking – taking a professional duty of care. Were it not for the creativity, dedication and ingenuity of engineers such disasters would be more frequent. Just think of the amazing complexity of building and maintaining the international space station – truly inspirational and built by engineers. So yes there is a paradox. Deterministic theory points to single solution, to black and white answers – but in practice we use it only as a model – a human construct which has enabled us to achieve some incredible things. Engineers use a plurality of methodologies and solutions. Anyone who has designed and made anything knows that are multiple solutions. Any attempt at optimising a solution will only work in a context and may be dangerously vulnerable outside of that context. Even a simple hinged pendulum behaves in a complex chaotic way. Bifurcations in its trajectory make its actual performance very sensitive to initial conditions. All successful practitioners know that people make decisions for a variety of reasons – some rational some not so rational. Only in theory does simplism apply. The financial crash of 2008 put paid to simplism in economic theory. Lastly, yes engineers do like order. Like life itself they create negentropy. They impose order on nature but do it to improve the human condition. The modern challenge is to do it more sustainably and to create resilience in the face of climate change. So these are the ideas that engineering educators work too. Most engineering courses include design projects. Students learn about understanding a need, turning it into a specification and delivering a reality. To do so they must think creatively, consider the needs of multiple stakeholders, think critically to exercise judgement to determine criteria to make choices. Many undergraduate engineering courses (but admittedly not all) now include ethics. In practice the products of the work of engineers is continually tested by use. If engineers didn’t think creatively and critically about such use they would soon be out of a job. In summary to characterise the engineering mind-set as one that thinks problems have single solutions devoid of ambiguity and uncertainty is derogatory and disparaging of our ingenious engineers. It is quite wrong to characterise the engineering mind-set as one that does not help students how to think though of course engineering educators are constantly striving to do better. Any claim that an engineering mind-set is linked to violent terrorism needs to be examined with great care. Featured image credit: Engineering, by wolter_tom. Public domain via Pixabay. 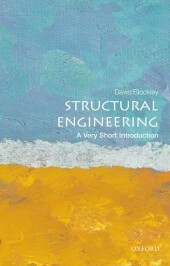 Professor David Blockley is an engineer and an academic scientist. He has been Head of the Department of Civil Engineering and Dean of the Faculty of Engineering at the University of Bristol. He is a Fellow of the Royal Academy of Engineering, the Institution of Civil Engineers, the Institution of Structural Engineers, and the Royal Society of Arts. He has written four books including Structural Engineering: A Very Short Introduction, Engineering: A Very Short Introduction and Bridges: The science and art of the world’s most inspiring structures. This entire conversation amounts to pointless hand-waving without hard data indicating that engineers are disproportionately likely to become terrorists. The British Council paper cited here lacks such data. The closest it comes is a claim that “Gambetta, in his sample, finds that 44% of graduate jihadis recruited within the region had degrees in engineering, as did 59% of the much smaller proportion of graduates among western-recruited jihadis”. By itself, this means nothing without information on the overall population of university graduates. For the record, I am a humanities graduate working in a STEM-dominated field.